1-1/2" Wide or 38mm beautiful soft and genuine full grain one-piece 100% leather. 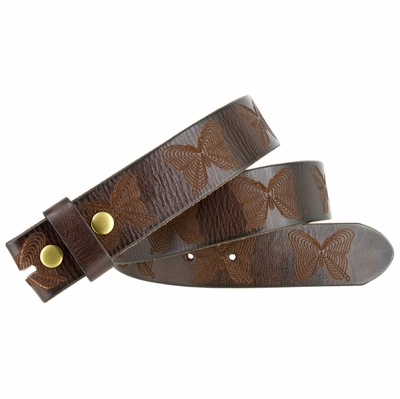 Tooled butterflies all over the belt strap and a leather loop. 5 hole for fit adjustment. Snaps to take on and off the buckle.